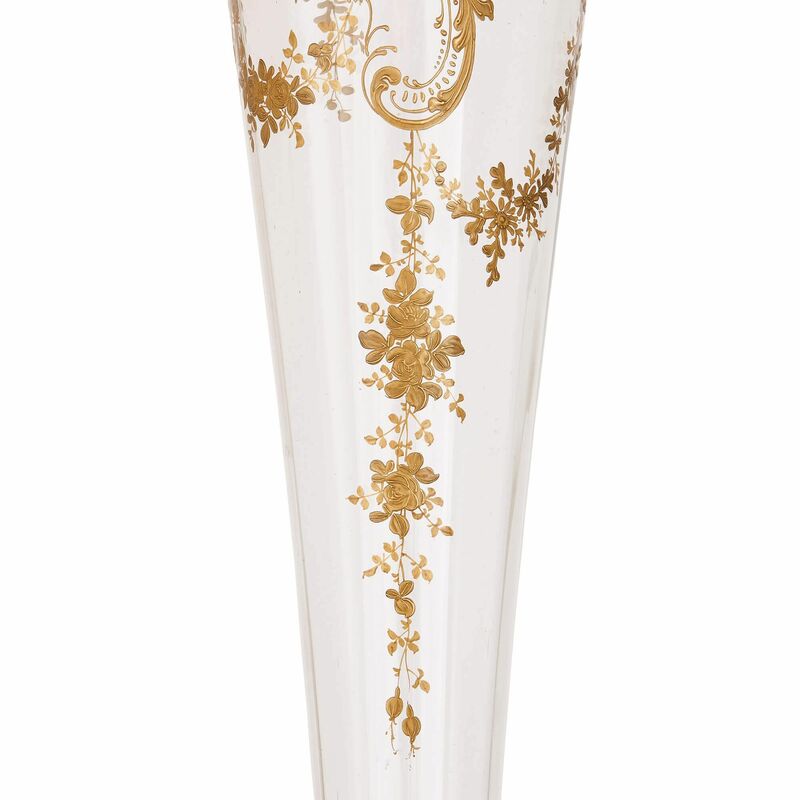 This stylish, slender vase is elegantly shaped and finely gilded, and is perfectly suited to complement an elegant bouquet without overpowering it. 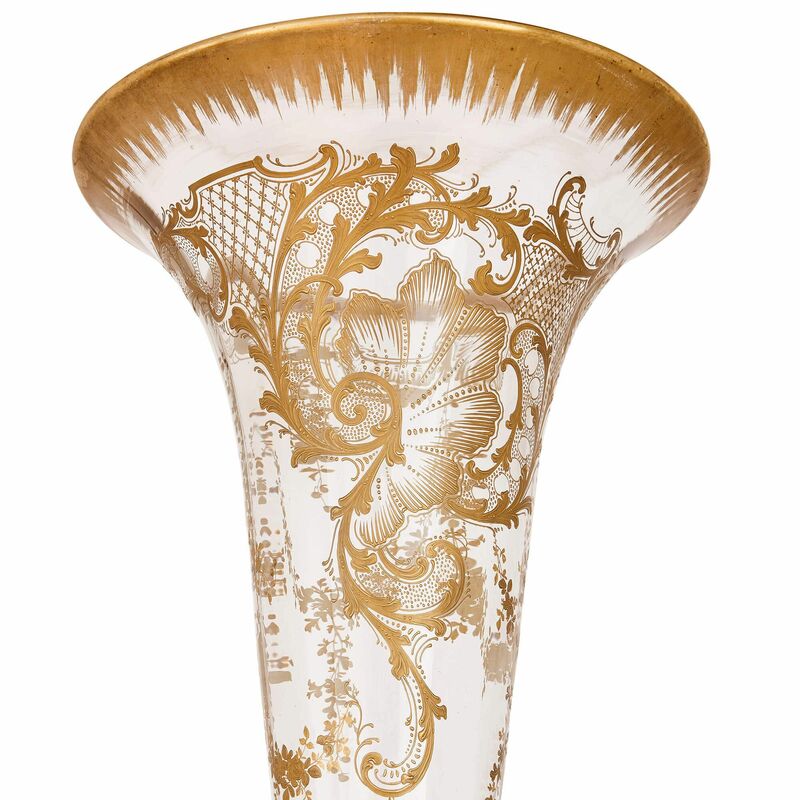 This Bohemian glass vase is truly timeless in its design: dating from the 19th Century, it has a modern, understated feel. 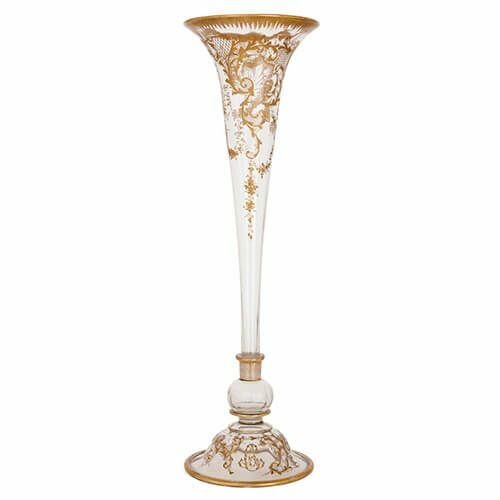 The vase is takes a tall, slender cone shape, and is decorated around its exterior with subtle but refined gilt decorations, showing foliage and floral motifs, and floral garlands which are shown hanging down the vase's body. 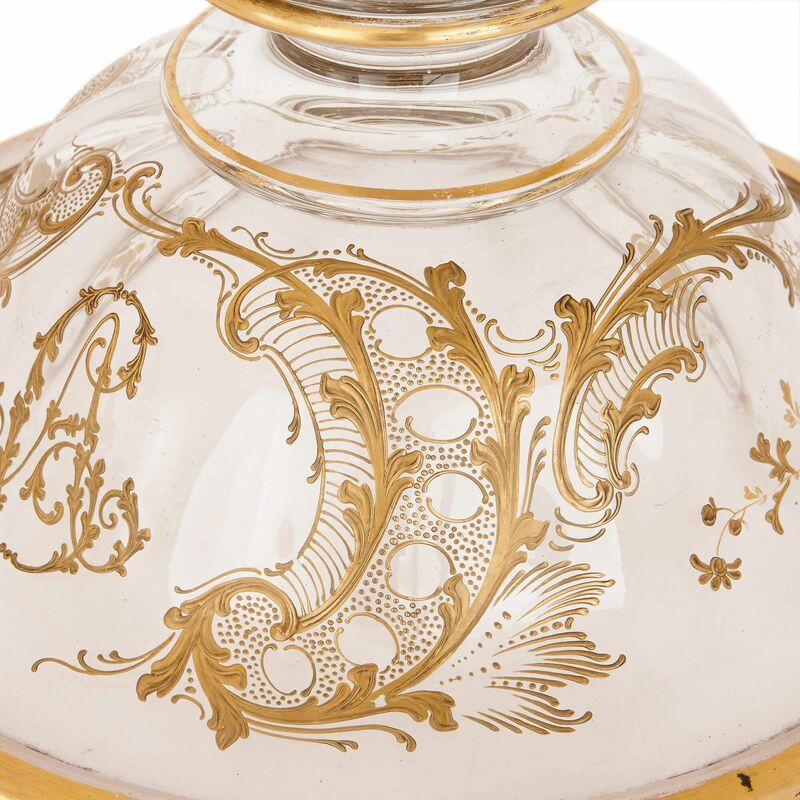 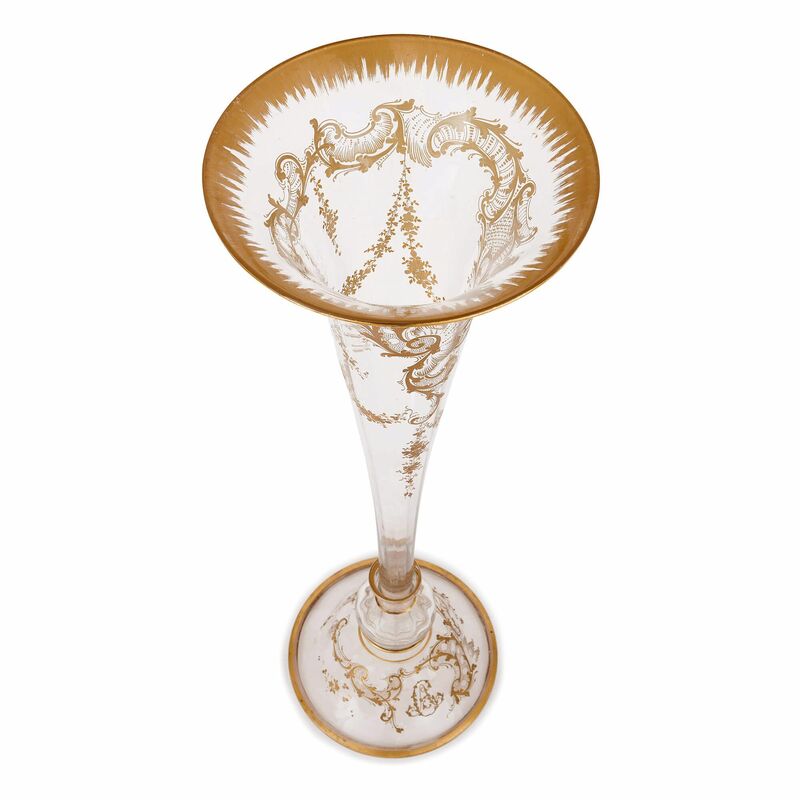 The top flared rim of the vase is gilded all the way around; as is the bottom edge of the base. 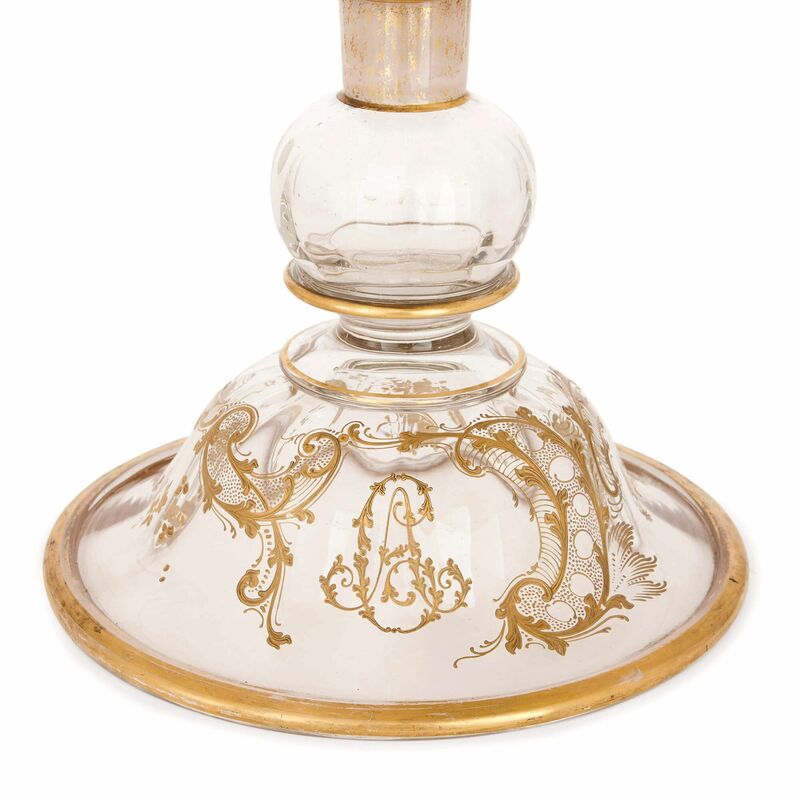 The lower part of the vase is shaped as a glass ball on a circular spreading base.